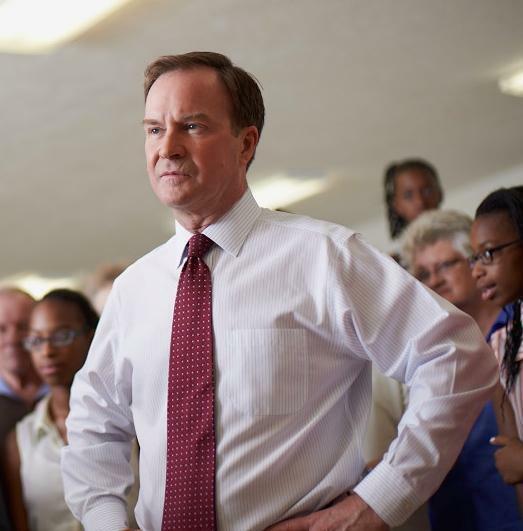 Bill Schuette, the attorney general and GOP nominee for governor, is promising to simultaneously cut taxes and fix Michigan’s roads and schools. It’s a plan that economists say defies common sense and likely would create a $1 billion hole in the state budget. Unlike his Democratic rival, Gretchen Whitmer, Schuette is making few promises about creating new programs, focusing instead on tax cuts that he said will stimulate the economy much like he says like President Trump’s tax plans have benefited the nation. Here’s a look at Schuette’s tax and spending promises and reality. Both Schuette and Whitmer propose eliminating the income tax on retirement income, which would trim about $270 million from the state’s $10 billion general fund. Schuette also wants to roll back the state income tax from 4.25 percent to 3.9 percent. That would create a nearly $800 million to $1 billion hole in the state budget, according to the House Fiscal Agency. Schuette says cutting taxes would make Michigan more competitive, and he hasn’t identified how – or if – he would make up the revenue from the tax cut. “Go to other states across America where there are more jobs, more pay— bigger paychecks and more people, and if you look at their tax climate, it’s not the weather that people go to Tennessee and Texas and the Carolinas and Utah (for), it’s their economic climate,” Schuette said last week to reporters. In other words, the budget would be shrinking and unable to keep up with inflationary increases such as health care costs, which are typically higher for government than the rest of the economy. Schuette also neglected to mention nearly all states have grown faster than Michigan over the past two decades, not just the ones he listed. And the tax structure in high-growth states varies: Texas and Tennessee don’t have income taxes, but Utah (5 percent) and North Carolina (5.5 percent) have higher income tax rates than Michigan, while South Carolina has a graduated tax of 3 percent on lower incomes but 7 percent on high earners. And while household incomes in Utah and Texas are higher than Michigan, they’re lower in other states touted by Schuette: North Carolina, South Carolina and Tennessee. It’s also unclear whether Michigan residents are clamoring for a tax cut. In a January poll by Lansing firm EPIC-MRA, fixing roads and infrastructure was the No. 1 choice (25 percent) of those asked to identify the state’s top priority, followed by improving education (16 percent) and cutting drugs and crime (15 percent). Lowering taxes was the top choice of just 4 percent of respondents. It’s impossible to reduce the state budget by 10 percent – $1 billion – without making cuts to services, said Al Pscholka, the former state budget director under Gov. Rick Snyder. “Tell me what you’re not going to do,” he said, referring to Schuette and suggesting that cuts would be necessary. For perspective: $1 billion is a little less than the state shares annually with all townships, cities and villages; it’s a bit more than the state’s general fund contributes to the state’s 15 public universities; and it’s $400 million more than the amount the general fund is scheduled to contribute to increased road funding. And to top it off, the state’s $10.4 billion general fund, adjusted for inflation, is 30 percent below its 1999-2000 level. Schuette has attacked Whitmer in part for her calls to fix roads with new taxes. He has said he can address the state’s woeful roads without raising taxes. Schuette’s plan calls on finding new money within the state transportation budget, and “reprioritizing” the state’s budget, with roads getting a more prominent focus. Schuette also is counting on savings from the repeal of the state’s prevailing wage law, which the Legislature approved in June. With repeal, contractors on public construction projects will no longer required to pay union-level wages to workers. That change, Schuette says, could generate $250 million alone in savings. Of the state’s total budget of $57 billion, 40 percent is federal money that passes through the state’s coffers to pay for health care, education and transportation. Legislators have very little control over most of that budget. Instead, they can make substantive decisions regarding the state’s $10.4 billion general fund. But a huge chunk of that goes prisons, higher education and debt, making it hard to find wiggle room. A good bit of that wiggle room was soaked up by Snyder’s 2015 roads package that’s generating $1.2 billion in new money for roads. Half came from higher gas taxes and registration fees, but the other $600 million is coming from the general fund. And that money hasn’t solved the problem: Snyder’s infrastructure commission estimated that even with the new $1.2 billion, the state needs another $2.2 billion to adequately address road and bridge quality. Others doubt the $250 million in savings from prevailing wage would materialize. On big road projects, like widening or upgrading the state’s interstate highways, federal money covers 80 percent of the cost and federal law requires union workers, Pscholka said. “Prevailing wage will have a bigger impact on school construction,” he said. That’s because schools, which spend tens of millions a year, could see lower bids because of lower labor costs. Schuette’s anticipated savings of $250 million, if it even occurred, would add a small amount to the more than $4.8 billion transportation budget. It would barely move the needle. Schuette’s education plan calls for no new spending. Instead, he wants to change priorities and put a sustained focus on improving literacy. His plan calls for creating a cabinet-level literacy czar who would work to improve reading skills across the state and a team of volunteers to help with things like summer reading camps. He also wants to put a “reading coach” in every elementary school. His campaign has not identified the wasteful programs and people like Pscholka and Bean are skeptical that much waste exists in the state budget. Adding a reading coach in the state’s more than 1,600 elementary schools would be expensive – it could cost over $100 million depending on salaries and benefits. If Schuette is successful in pushing for it, his administration would have to find the money – either from a revenue increase, cutting existing programs or cajoling philanthrophies and corporations to pony up. How stupid does Bill think voters are? How successful do you think Bill will be to get business to give back some of the billion $ reduction in taxes the nerd gave them? Schuette: "Go to other states across America where there are more jobs, more pay... look at their tax climate." He's ignoring the supply-side tax cut experiment by Kansas. The state saw its revenues plunge, saw its bond rating downgraded (which increased borrowing costs), was forced to cut education and services to the bone, and underperformed its neighbors economically, despite having more attractive tax rates. Schuette is just putting lipstick on the squirming pig of an idea. As long as our schools keep producing students who can't read, our financial destiny is increasing poverty, more programs to support those who can't support themselves and a decreased tax base. Yup - that worked out just great in Kansas. 1-2 = -1, Bill, not 3.